Thinking about a family holiday in Cornwall on the 1st two weeks of July. Possibly taking a house in either Falmouth or Looe or thereabouts. Will be flying into Newquay and hiring a car. Other than visiting the Eden Project and taking a trip to Port Issac (Doc Martin village), looking for things to do. I used to holiday with my mates in Devon or Cornwall every year before everyone had kids. Loads to do, especially if you like the outdoors. Surf school, Tintsgel Castle, cream tea, loads of pubs in the good food guide. Only faff is the journey off the M5 is a bit arduous but worth it once you are there. Surf lessons early on in the holiday then enjoy the water. Train ride into St Ives for galleries, shopping, and eating, expect it to be very busy. Porthleven for restaurants – An evening meal at Kota is very good. Land's End is a bit crappy but still worth a visit, it a great walk from Sennan Cove. The Minack Theatre is pretty cool and Porthcurno is probably up there are one of the best beaches in Cornwall. St Michael's Mount is nice to visit, walkable when the tide is out, and there's a decent pub (Godolphin Arms) near by. Jamie Oliver's Fifteen restaurant is very good at Watergate Bay, it overlooks the huge beach. If you're a foodie find the Hidden Hut at Porthscatho. For another beach day Kynance Cove is well worth a visit too. Get a National Trust pass to save a few £ in parking. Personally, I would only go to Cornwall during the quieter season, as it can be VERY busy otherwise and that (for me) spoils the enjoyment of its spectacular natural beauty. Walking some of the coastal footpaths is a must, but plan well so that you can stop off for a pint and a pasty half way. Lands End is awful nowadays. Don't bother. If you want to go to Padstow (which gets VERY busy), we found it better to park at Rock and take the little ferry over over the water. Last edited by Maysie; 11th February 2019 at 16:45. Last Summer during the heatwave. Who would go abroad when we have this? St Ives, Padstow and Rick Steins. As you say; Eden Project and Port Isaac are a given. Padstow was nice too. I'd avoid Stein's generally as all I was served was disappointment; ok his chippy was quite good to be fair. But for good food, head to Paul Ainsworth No6 which was amazingly good. For a Pasty the Chough Bakery knocked Spots off Steins Deli and Chip Ahoy was the best chippy in Padstow. Some nice beeches and countryside. The best cream Tea I had was served by the WI in the town hall, needless to say all home baked with home made jam. The local Beers were very good too and think you can get a brewery tour which would be good I'm sure if you like a real Ale. I was born in Devon near the Cornish border, so I be a local and you lot be grockles who floods the place out every year. That is the problem with Devon and Cornwall, it simply becomes overpopulated during the season to the point of ad nauseum. I went down there two years ago to attend a family wedding and it was hell on earth, too many people per square mile. I was glad to leave the place. I take your point but it shouldn't be as packed as Spain, Portugal or Florida, all of which I was considering and with good eating spots and day trips as described by everybody above I'm not surprised its popular. That's the problem with school holidays, it means everybody is stuck with the same few weeks. As it so happens, I have a second home in Spain and it is considerably less crowded than Devon / Cornwall. Yes it is busy during the school holidays but not as bad as half of the UK piling into just two counties. Have not been for a while, but we used to stay at Gwel an Mor. As it may be just before peak summer holidays, the costs might still be reasonable. One benefit is they have a heated indoor pool if the weather turns. Safe environment to.let the kids roam about. They also have a great set of conservation and nature activities with a really infectious and passionate ranger. Easy walk to the local beach at Portreath. Gwithian Beach is stunning and a short drive away and it is a bit further to St Ives. Visit Falmouth for the Maritime Museum. The point about wall-to-wall tourists is a valid one, but if you can go a bit left-field, the part of Cornwall where I (arguably) grew up can be lovely and relatively empty even in peak season. I infested Bodmin Moor north from Liskeard. I was surprised on a fairly recent visit to find that the area is now a World Heritage Site (East Cornwall Mining District or something similar). The moorland can be hauntingly beautiful, stuffed full of folklore and legend, and more to the point for visitors the north coast is easily accessible if you enjoy narrow country lane motoring. A big plus is that Liskeard (dump) is a Park n Ride terminus for Looe; park at Liskeard (dump) station and travel the scintillating Looe Valley branch line. Cheap as chips, and like being on a motorised caterpillar crawling down the side of the East Looe river. It is truly one of the world's most wonderful branch lines. Looe will be rammed, but still worth the trip; it is a lovely little town. 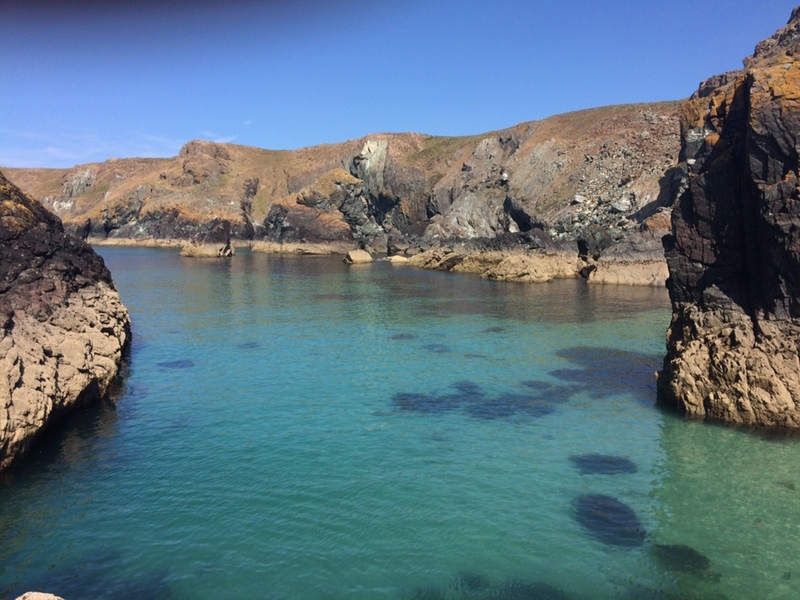 In fact you will probably enjoy the experience so much that you will do it twice, the second time to travel from Looe to Polperro by bus and thus avoid the horrendous high-season parking problems. Should you be train-averse, there is a massive car park in Looe but you may have to endure a traffic jam to get to it. 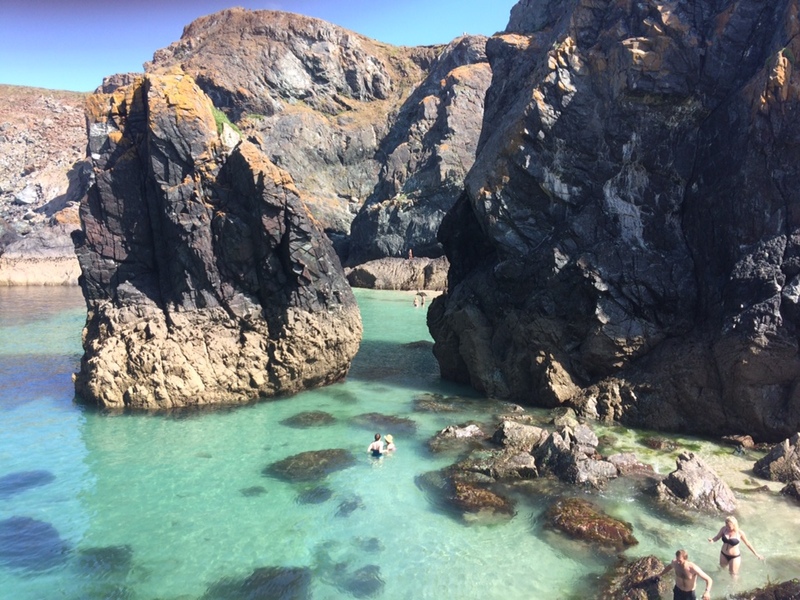 To sum up, Cornwall is a lovely county; the known spots are best visited off-season, but there is so much more to the county that can be enjoyed at any time of year with a certain amount of pre-planning. Fallen in love with Cornwall over the last 3 years and in particular Rock and Padstow. We've been during early June and mid September, so avoided the main crowded period but it was still quite busy. More votes here for chips ahoy, chough bakery and the padstow brewery company. Take in the Porthcurno Telegraph Museum while you're at the Minack theatre. Having lived in Porthleven for years Kota is good but there are other good ones too. Blue Anchor in Helston for beer, Spingo brewed on the premises. JHM Choak on Falmouth Moor for pasties. Gweek area and Lizard peninsula. Tate Modern in St. Ives. Take the train in from St. Erth. Gunwalloe Church Cove - church on the beach. Last edited by markbannister; 15th February 2019 at 21:04. If you get off the beaten track it’s lovely, 500m from a car park and it’s rammed. That’s the great thing about the nations obesity, it tends to congregate people near food and a sit down. We walked along the coastal path on the lizard and only met a few others, caught in a squall and got to kynance cove to bemused looks from the grockles as they couldn’t work out why we were soaked and the sun was out. I've seen a few people saying not to bother with Lands end ? Nothing really, they’re trying to make the most out of the visitor numbers. Effectively Lands End is just a bit of land the same as any other part of the coast line, it really has no significance but because it’s the most south/westerly point of our isle people like to visit. It’s a commercial centre with a play area, coffee shop, cafe, ice cream hut a couple of shops and some amusements. Nothing really Cornish, it could be anywhere and most of what it offers could be had at a motorway service station. That said, it’s a lovely bit of coastline, a nice walk from Sennan and at least you can use the toilets and get a coffee or ice cream. You have to pay to get in for a start. And it's very Blackpool, but nothing like the same size of course. Next headland north, via Sennen Cove, is Cape Cornwall (the only Cape in England I believe) which is smaller but lovely - and free if you are in NT, otherwise you have to pay to use the car park. There's nothing touristy there save an ice cream van, but it is Penwith at its rugged best. The "Tin Coast", from Cape Cornwall round to Pendeen, is the iconic vista of mine engine houses set against the rugged granite coast; once seen never forgotten. Last edited by unclealec; 15th February 2019 at 22:22. Im in Cornwall every other weekend as thats where my significant other is from and they have a large extended family there. I find most of the locals laid back, accepting and friendly. We plan to retire there. Anyway, if your going to the Eden Project I recommend going on the zip wire that flys above it. It scared the life out of me at first but once I got going it was great! I know you weren't asking for accommodation, but we stayed at The Lugger hotel in Portloe with 3 kids, one of whom was 7 months at the time so we got the cottage next door that they have and it was best of all worlds with the benefits of being guests of the hotel but detached & quieter (for everyone else). Beautiful little village, close enough to all the things mentioned but very small & relatively quiet - once you drive the hair raising roads back to the hotel, there's hardly anyone about. Blurb from here https://www.luggerhotel.co.uk and no I'm not on commission! "For traditional Cornish charm and a waterside location, The Lugger, a 17th century inn in Portloe, is hard to beat" - Financial Times, 2013. Surrounded by cliffs and windswept headlands forming an especially beautiful part of the Cornish Coastal Footpath and Roseland Peninsula, Portloe possesses an unrivalled and enduring beauty. The Lugger Hotel – named “Best Seaside Hotel” by the Sunday Times – sits in the heart of Portloe on the water’s edge. Its 22 bedrooms are each decorated with rich Portuguese woods, alongside deluxe showers and fine linens. Additionally, for those who require a little more space and privacy, The Lugger’s ‘Hideaway’ is a charming 2 bedroom self-catering cottage just across the slipway, offering freedom while still providing easy access to all the benefits of a hotel. The hotel also boasts a two AA Rosette restaurant where you can enjoy the best of local produce and cuisine, much of which is freshly hauled from the depths by the village’s resident fishing vessels. In addition, many of England's most popular attractions - such as the Eden Project, the Lost Gardens of Heligan and the Maritime Museum of Falmouth - are within easy striking distance. Thanks all, some good tips there. Booked for a week in the 2nd week of July. Staying in a holiday village in Newquay (Atlantic Reach) as it was the most reasonable and fairly central for driving. Hired a car so hope to see as much as I can. Is Falmouth worth a day trip rather than Looe. I would suggest Fowey, but the north coast has some spectacular scenery without exposing onesself to the full horror of the holiday traffic. Eden Project is doable from Nookie and I go quite often as it changes frequently. Newquay is lovely itself around the harbour. That was my last station in the Constabulary. Go to Falmouth, grab a pasty and drive up to Pendennis Point. There's usually a Kelly's ice-cream van there; has to be done, no matter what the weather is doing. Then just gaze out to sea. Go to the Minack Theatre.